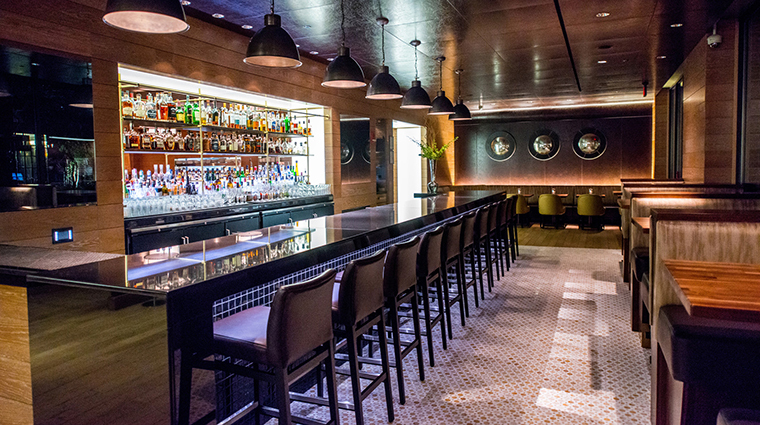 If you want to spot a celebrity or visiting VIP in Washington, chances are, you’ll find him at Bourbon Steak DC, located within the city’s storied Forbes Travel Guide Five-Star Four Seasons Hotel Washington, D.C. This contemporary American restaurant specializing in steaks and seafood with a farm-to-table influence draws business and pleasure crowds night after night with its buzzy bar and see-and-be-seen ambiance. 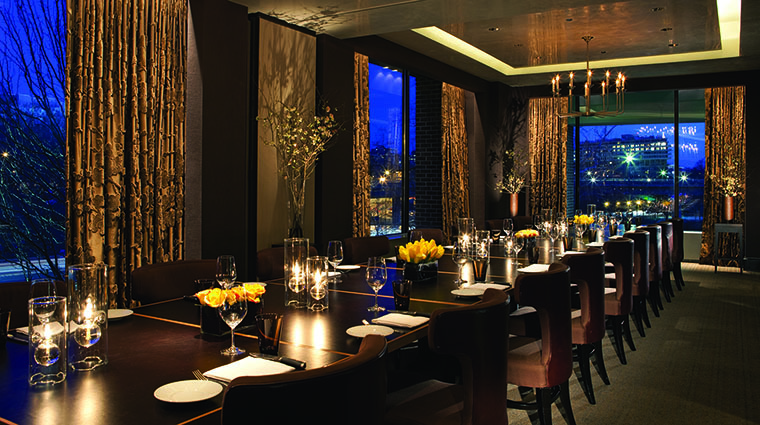 The dining room at Bourbon Steak is decidedly modern, all muted leather chairs, rich woods and metal accents, with large-scale windows to let in natural light. It certainly doesn’t feel like your average “boy’s club” steakhouse. One of our favorite spots is the newly renovated front bar, where you can perch on banquettes while savoring craft cocktails or, in nicer weather, move outside to the brick patio with its oversized fireplaces and modern sculptural art adorning the walls. Bourbon Steak might have celeb chef Michael Mina’s brand, but the real magic comes from executive chef Joe Palma, formerly of local favorites like Westend Bistro by Eric Ripert. We love some of the tweaks Palma has made to the D.C. restaurant’s menu, including an added highlight on seafood and French technique. So while it may seem out of character at a restaurant with “steak” in the name, definitely go ahead and try that sea bass. You’d expect the meats to be the menu’s star — and they certainly are. Choose from by-the-ounce Waygu, 36-day dry aged, grass-fed or corn-fed beef. The Washington D.C steakhouse serves up succulent cuts for dinner seven days a week. You can also enjoy a power lunch at Bourbon Steak DC on weekdays from 11:30 a.m. to 2:30 pm. Reservations are highly recommended at this popular Georgetown restaurant. Book your table by calling the restaurant directly at 202-944-2026 or by reserving your spot online. 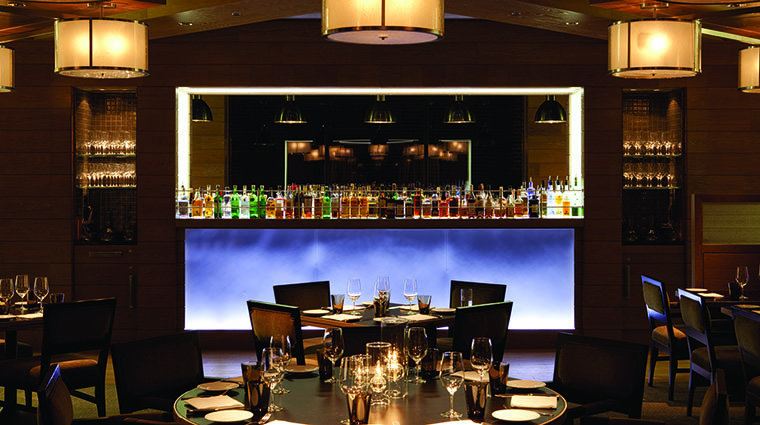 The stylish steakhouse features a business casual dress code. A see-and-be-seen ambiance definitely encourages you to dress your best. The ribeye and bone-in strips are our picks for maximum flavor, particularly when paired with a trio of delectable steak sauces and shareable sides like crab hush puppies with jalapeño and coriander or black truffle mac and cheese. Prefer something lighter for your main? Fish dishes hold their own — we love the traditional preparation of tableside-mixed tuna tartare as a starter. Be sure to save room for dessert, too — “Arnold Palmer” citrus-glazed doughnuts and a chocolate-and-bourbon-filled candy bar are standouts. This is a craft cocktail bar that locals love. Choose one of the 25-plus classic cocktails that can be made just as you like it. New head bartender Torrence Swain has infused the always-popular bar with fresh flair, keeping the same influence on classic cocktails as well as adding a new emphasis on seasonal ingredients found in the hotel’s own 500-square-foot outdoor garden. We like the BSDC Potomac, the house dirty martini with white-truffle-infused vodka and house-made truffle brine with a truffle pecorino olive. Newly reopened after a light refresh — the space sports stained white oak flooring, leather-covered tables and a Marrone marble bar — this Georgetown staple is here to stay. The Spa at Four Seasons Hotel Washington, D.C.